USI (Unique Student Identifier) Number - Mature age entry (18+) - Initial skills assessment - Valid and current email address - National Police Check (Fee applies)** - Working With Children Check (Fee applies)** ** For Traineeship / Apprenticeship programs, employer(s) are responsible for all relevant police checks. 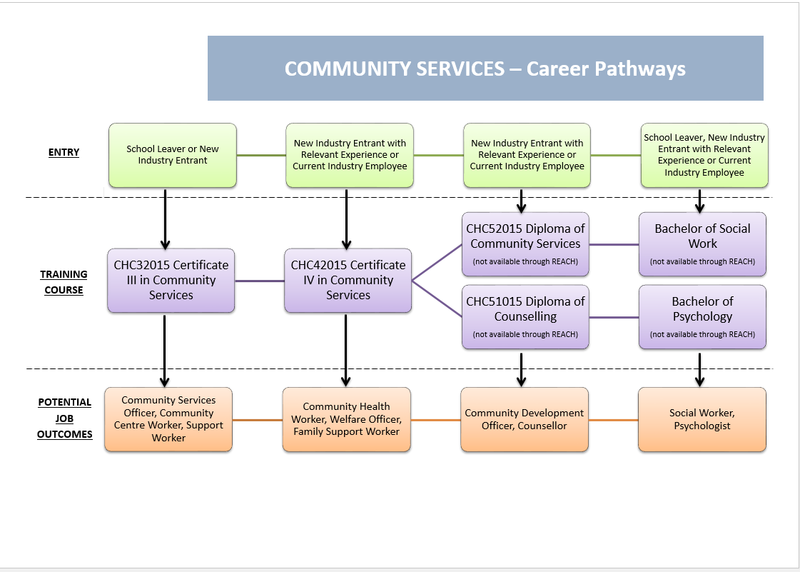 This qualification reflects the role of entry level community services workers who support individuals through the provision of person-centered services. Work may include day-to-day support of individuals in community settings or support the implementation of specific community-based programs. At this level, supervision may be direct or indirect; work may take place in a range of community services organisations. Work Placement 80 hours minimum work placement within a Community Services facility is compulsory for this qualification. Work Placement Insurance will be provided by REACH for Training.